"The 39-year-old was the first-round leader at the RSM Classic earlier this season after firing a 62. And he's been starting well ever since, his last seven rounds showing a 66, a 67 and four 69s." Weather forecast for Augusta National, Georgia: It's a sunny day one at the Masters. Temperatures start in the early-60s for the first groups but rise to a peak of around 83 degrees at 1pm. However, winds pick up too. They're 6mph for the early tee-off times but double to 12mph from 2pm and edge a little higher around 5pm. Strategy: Looking at the last 10 R1 leaders which takes us back to 2011, six have started between 12:57 and 13:59 while four were from 09:24 to 10:08. With just 87 players in the field this year, tee-times range from just 08:30 to 14:00. Past experience suggests we don't go to the extreme edges of the tee-time range. Nothing too early and nothing too late. With the wind getting up, I'll take two from the earlier wave and one late. The golf writers will be more than happy to see Charles Howell III take the first-round lead as it makes the perfect local hero story. 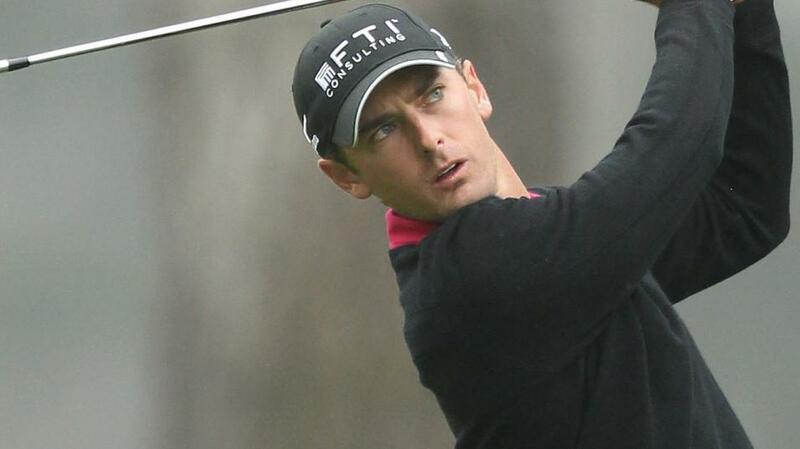 Howell III is an Augusta native returning to The Masters for this first crack since 2012. He was tied 19th that year, his best finish since tied 13th in 2004. The American was tied eighth after round one that year and something similar would secure an each-way payout this time with eight each-way places on offer. The 39-year-old was the first-round leader at the RSM Classic earlier this season after firing a 62 - a tournament he went on to win, ending an 11-year drought on the PGA Tour. And he's been starting well ever since, his last seven rounds showing a 66, a 67 and four 69s. Howell III looks to have an ideal morning tee-time at 09:47 and is worth a bet at 66/1. Henrik Stenson had a breakthrough at last year's Masters, finally cracking the top 10 by finishing tied fifth. Not that he had a bad record having had four straight top 25s from 2013. He was tied fourth after day one last year but should really have been the first-round leader in 2012 having played the first 15 holes in 6-under. Instead he three-putted 16 and then ran up a quadruple bogey at the final hole. The Swede has has a curious season so far, missing a string of cut, but he was T17 at Bay Hill, T24 at the Valspar before winning his group with three wins out of three at the WGC-Dell Match Play. His game is clearly on the up again and last year's strong show means he'll see Augusta National in a much more positive light when returning this year. Take him to start fast at 45/1 from his 09:58 tee-time. From the afternoon starters, the one I like best is Ian Poulter at 66/1. The Englishman boasts a strong Augusta National record and has finished the opening lap in the top seven on three occasions. Poulter certainly has a habit of low first rounds and he's ended day one inside the top 10 no less than five times in his last 11 starts this season. He may have to cope with tougher winds if the forecast is correct but there's no guarantee of that so I'll give him a whirl and hope he thrives from his 13:05 start. And, no, I'm not backing Charley Hoffman at 35/1! Double that price would have been more accurate. The Betfair Sportsbook is paying 10 places instead of six on the 2019 US Masters. Place your each-way bet on the Outright winner market and get 10 places at 1/5 the odds. Betfair golf rules apply. T&Cs apply.